- March - Alessio and I will talk about "Real-time self-adaptive deep stereo" and "Real-time monocular depth estimation without GPU" at BMVA meeting on High-Performance Computing for Computer Vision! - February - 3 papers (1 oral!) accepted to CVPR 2019! - February - Our tutorial on "Learning-based depth estimation from stereo and monocular images: successes, limitations and future challenges" will land at CVPR 2019! - January - We got 1 DATE paper accepted! - November - It's my great pleasure to serve as reviewer for CVPR 2019! - September - We got 1 IROS, 1 ECCV, 1 3DV and 1 ACCV papers accepted! - August - I received an honorable mention at CVPL 2018 for presenting my PhD Thesis "Machine learning techniques applied to stereo vision". - July - I will run a full-day tutorial at 3DV 2018, info and schedules here. This is a joint work with Fabio, Konstantinos Batsos, Philippos Mordohai and Stefano. - April - I was acknowledged as Outstanding Reviewer at CVPR 2018! - April - I defended my PhD thesis "Machine learning techniques applied to stereo vision". Thanks to Torsten Sattler and Philippos Mordohai for their reviews and precious comments! - March - I am part of the program commitee of the 14th IEEE Embedded Vision Workshop (EVW 2018), held in conjunction with CVPR 2018! - November - It's my great pleasure to serve as reviewer for CVPR 2018! - August - In the last 5 months I've been a visiting PhD student at CVG Lab, ETH Zurich. Thanks to Torsten Sattler, Andreas Geiger and Marc Pollefeys for hosting me! - July - 1 CVPR, 1 BMVC and 2 ICCV (1 spotlight) papers accepted this year! - July - I gave a talk at MPI in Tübingen, Germany, about my research activities (here the presentation). Thanks to Andreas Geiger and Yiyi Liao for this great opportunity! - September - One BMVC and two 3DV papers accepted this year! 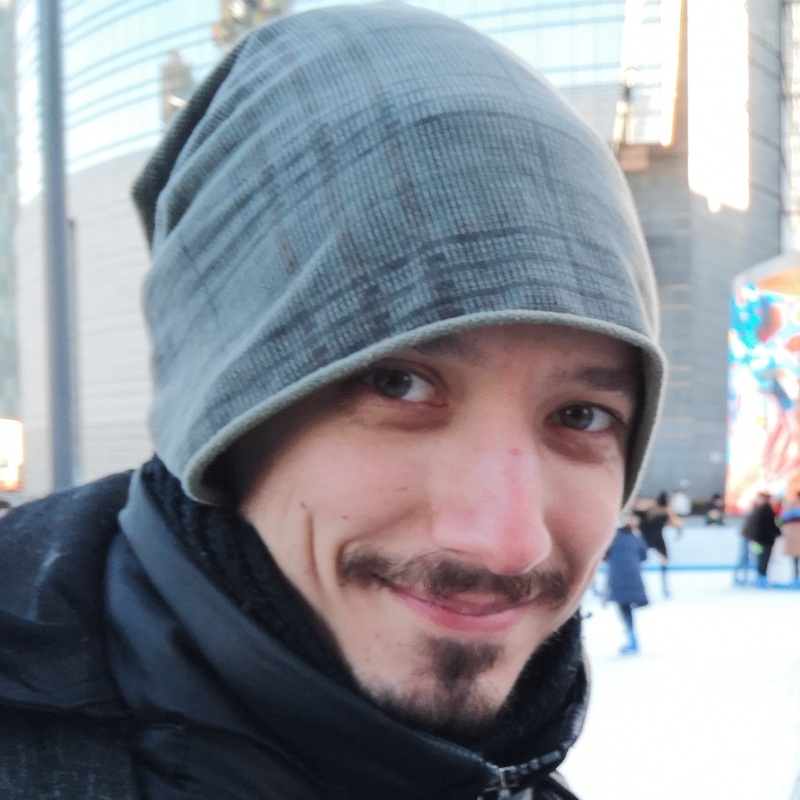 Currently, I'm a Post-Doc at Department of Computer Science and Engineering (DISI) and tutor of Calcolatori Elettronici T (laurea triennale in Ingegneria Informatica, Bologna). Talk: "Real-time monocular depth estimation without GPU", BMVA meeting on High-Performance Computing for Computer Vision, May 2019, London, UK. Tutorial: "Learning-based depth estimation from stereo and monocular images: successes, limitations and future challenges", CVPR 2019, June, 2019, Long Beach, California, US. Demo: "Energy-Efficient Monocular Depth Estimation on ARM-based Embedded Platforms", U-boot at DATE 2019, March, 2019, Florence, Italy. Tutorial: "Learning-based depth estimation from stereo and monocular images: successes, limitations and future challenges", 3DV 2018, September 8, 2018, Verona, Italy. Demo: "Towards Real-time Learning of Monocular Depth Estimation Enabling Multiple View Synthesis on CPU", ECCV 2018, September 10, 2018 Munich, Germany. Talk: "Deep learning for depth estimation", invited talk at Univrses, August 20, 2018, Stockholm, Sweden. Talk: "Deep learning for stereo matching and related tasks", invited talk at MPI, July 12, 2017, Tübingen, Germany.